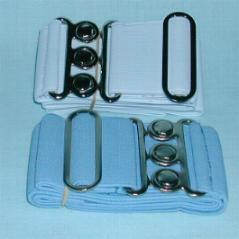 Adjustable with nickel plated clasp. Width 5cm (2inches) to fit waist up to 110 cm (40inches). Colours white, hospital blue or black. SKU: 191. Category: Nurses Uniforms.